Succession Planning is the process through which organisations identify and develop potential future leaders, senior managers or business critical positions. Those succession plans pulled together from various sources are cumbersome to use and soon become out-of-date. Succession planning software changes that. What are the benefits of succession planning – and succession planning software? Want to know more about Succession Planning, Models and Templates? Get up to speed on how to introduce robust succession planning – and, when you’re ready, get hold of our Ultimate Guide to Succession Planning eBook. It takes you through the critical activities of defining the critical roles, identifying high potential, and managing the talent pool through succession planning talent review meetings. You can request your copy to be sent straight to your inbox. Talent Successor is online succession planning software like nothing else. It helps you to embed succession planning throughout your organisation, ensure a continuity of talent and enable meaningful career conversations to take place. Talent Successor gives you a strategic ‘line of sight’ for key people in your organisation – where they are today and where they could be. You’ll be able to build specific talent pools and see where the gaps are between current capabilities and those needed in the future. You will be able to answer key talent questions asked of you by your Board or in Talent Review meetings relating to succession planning. You’ll be able to build succession plans that are robust and realistic. You may also want to learn about how 360 degree feedback can help spot potential. Succession Planning ready for take off? Ready for the next step? Schedule a demo of our online Succession Planning tool, or learn more by reading our product flyer. What metrics should we use when looking at talent? We’d love to explore with you how our online succession planning software may support you – and we can do this by taking you through a demonstration. Gives a strategic ‘line of sight’ for key people in your organisation – where they are today and where they could be. 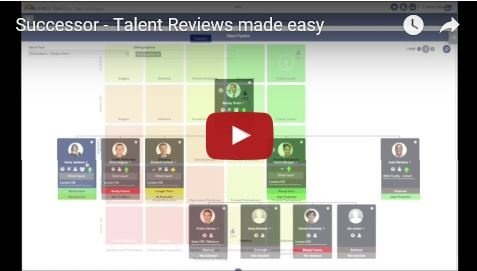 Lets you build specific talent pools and to see where the gaps are between current capabilities and those needed in the future. Uncovers employees with experience and skills for specific roles. Answers key talent questions asked of you by your Board relating to succession planning. Monitors progress of succession plans. The Talent Successor technology is available to partner organisations that want to make use of its power and flexibility to run succession planning software for their clients. Talent Successor gives us so much. The information that I need is there when I need it – and importantly all in the same format. With this product, succession planning is an entirely different ball game now. Talent Successor is a great product, which has allowed us the flexibility to configure to suit our language and approach to Talent Management. The selection of analytics available was a big attraction for us – the software will help us to effectively foresee and overcome any business risks associated with succession plans and measure the success rates of our pipeline.